And kinda unusual as these weapons were pretty much for special forces/police/swat type forces that generally have their own say as to what they buy and use. I would like to see them with reliable accurate pistols but there is no such thing as perfect. 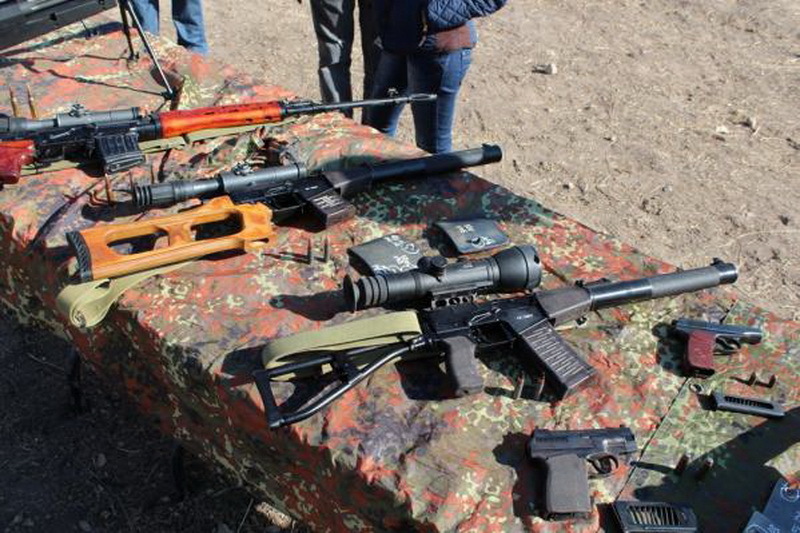 Russian made PSS silent pistol shown during display event organized by Armenian Special Forces. Very small and compact for a silent pistol, but not really new... Soviet special forces adopted it in the early 1980s. I was researching if Russia is making new handguns and revolvers? All I could find were old Soviet designs, is there any Russian company that is making new handguns and revolvers? Gsh-18 uses special rounds and is among the heaviest hitter of 9mm pistols due the special AP round. OTs-23 Drotik, semi- and automatic Pistol. OTs-33 Pernach, semi- and automatic Pistol big as Mk.23 pistol. MP-446 Viking, very nice design. MP-448 Skyph, compact designed pistol. And my favorite of those for semi-auto at least. Strike One "Strizh" uses also 7N21/31 ammunition high power Armor Piercing rounds. Also of note the Russian Army has adopted the 9 x19mm pistol cartridge in a very powerful ++P form. Note NATO has +P 9mm ammo with more power especially for SMGs and other stronger weapons, so the new Russian ammo allows the Russians to use NATO ammo, but would make it dangerous for NATO weapons to fire captured Russian ammo. Note also some weapons like the SR-1 Gyurza uses different ammo 9x21mm that is not compatible. The Stechkin machine pistol was very popular among Soviet special forces which reflects all the full auto capable pistols Werewolf mentions... note there is a full auto version of the Strike One pistol too. Visitors of the Army-2015 exhibition in the Moscow Region queued to examine a new pistol presented by the Kalashnikov Company. The PL-14 is a 9x19mm pistol developed for force structures. The member of the Russian Security Service (FSB) and shooting sportsmen participated in the development of the weapon, which resulted in its ergonomics and convenience. never handled any guns but i suspect this one would shoot fine, looks good to boot too. HEhe CK willing to compete on the "next-gen" pistol market. Looks nice, shoots probably Very good. Is, however, 4 years late and 100gr too lardy. Although I'll take it it over the Strike one. I don't get why it isn't Baikal that trades this one over Kalashnikov. Looks more like competitive shooting pistol. Regular wrote: Looks more like competitive shooting pistol. Nothing but the fact it is a joint venture. Thus prone to sanctions. Albeit it is assembled in Russia some parts are currently made in Austria. It's a world class weapon. Period. I just like the lebed berger. IMHO this new pistol is a waste of time and effort. The military and paramilitary applications of pistols is limited and insignificant. Russia has enough good pistols (Yaryagin, GSh-18 and even Makarov PM) to do the job. A new pistol that is a little bit better won't make a difference. The civilian market (target shooting, IPSC etc.) for the new pistol is also insignificant. The biggest market is the West and they are sanctioning the Russian firearms. The domestic market is minimal (only shooting clubs can have it, individuals are not allowed). The money that went into this pistol should have gone to develop other weapon systems that are more necessary and economically more advantageous. I sort of agree but I think Military Officers and Policemen will continue to carry pistols for a while yet....I can't see them going around with SMG's in their everyday duties. I disagree, police & military officers all around the world use pistols; SF too. I'm sure that any given time a few countries would be in the market for one. Moreover this is the sort of minor purchase that would have few political strings attached, pistols would largely be judged on their merit; so Russia can potentially sell to anyone (I believe even some European countries could consider them). Loss of the US market is a shame but not the end of the industry. ...It looks the Russia and the US have the same problem. It's seems like every few years both countries announce new competitions to replace their long standard issue pistol side arm (Makarov and Berreta M9 respectively) lol! Always the same, high cost for almost no boost in actual performance, because those who usually use pistols in the militaries are MP's and officers who are usually not frontline soldiers anyway, so basically wasted money while several other fields were improvement is significant can be put to good use instead wasting for a prestige weapon around someones belt which has little of performance boost for isolated non important situations. MOSCOW, August 16. /TASS/. Preliminary trials of a new pistol for the Russian Defense Ministry have been completed and mass-produced supplies may start in 2017, CEO of the Central Research Institute of Precision Machine-Building (TsNIITochMash) Dmitry Semizorov announced on Tuesday. Currently, the Makarov is the most popular pistol in the Russian Armed Forces. Special security units and other law-enforcement agencies use the 9x18 caliber Stechkin automatic pistol. 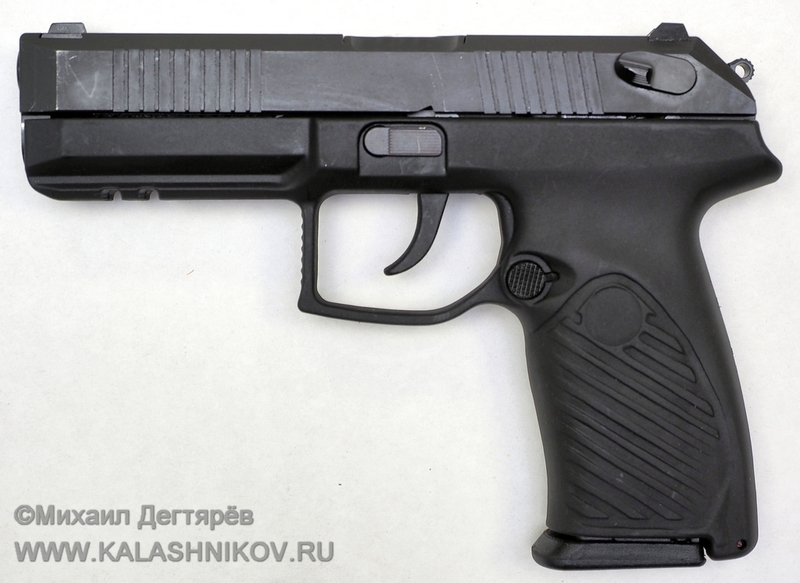 Russian special forces are currently being rearmed with a more powerful 9x21 caliber Serdyukov (SR-1) pistol. The Russian defense industry has been assigned the task of mass producing the 9x21 caliber firearm so it could replace the Makarov. "Now preliminary trials have come to an end. In autumn, we’ll start running state tests, which we should complete by the end of this year and mass production will start next year, if the Defense Ministry makes the relevant decision," the CEO explained. "The new firearm selected has a highly powerful 9x21 caliber cartridge. We have the respective experience - that is the Serdyukov pistol. However, the firearm being developed today incorporates new technical solutions so that it can be mass produced and can replace outdated versions," he noted. The head of the firearm developer earlier told TASS that the Institute had invited industrial designers as part of this effort to focus on ergonomic requirements for the weapon: the pistol should stay easily in the hand, be convenient in aiming and so forth. The Institute has also carried out work on the pistol’s materials, the arrangement of the trigger and striking mechanism and the safety lock, he added. Well if they have to replace the 9 x 18mm calibre I am pleased they chose a more powerful round than the 9 x 19mm NATO round... considering NATO is trying to replace the 9 x 19mm round for a more effective cartridge. The 9 x 21mm round has been tested in combat in both the SR-1 pistol and the SR-2 SMG and it reportedly is very effective even against targets with body armour. It is no super calibre, and wont be as effective in the real world as pistols are in computer games and movies and TV shows, but it should be a good calibre for close protection for those few that need a small weapon for self protection. I guess if the military is to adopt the 9 x 21mm calibre to replace the old 9 x 18mm calibre then that means both the Makarov and Stechkin will need replacement, and also the various SMGs previously shown in 9 x 18mm and 9 x 19mm calibre will also need to be replaced with 9 x 21mm calibre versions. Weapons like Kedr/Klin will likely need a serious redesign for the rather more powerful cartridge, and Kashtan would need to be adapted to the new cartridge and of course the Vityaz-SN would only need minor changes to take the more powerful round and the Bizon too. IZHEVSK, September 14. /TASS/. The Izhevsk Mechanical Plant (an affiliate of the concern Kalashnikov) will launch the batch production of the new Lebedev handgun (PL-15) in 2019, the plant’s managing director, Alexander Gvozdik, told the media on Friday. "It will meet customer requirements as a combat weapon and as a civilian firearm," he said. The plant in Izhevsk declared the intention to start the serial production of the Lebedev handgun back in March 2018. The handgun may be in great demand from the Defense Ministry and other law enforcement agencies. The handgun’s prototype was for the first time presented at the international military-technological forum Army-2015. It was designed to be equally suitable for right-handed and left-handed people. Recoil and muzzle flip have been minimized. The gun’s return to the aiming line is fast and easy. A special indicator lets the shooter instantly feel if there is a cartridge inside the cartridge chamber and the handgun is loaded. The weapon is suitable for cartridges of variable length. No information about those trials for a new pistol for the Russian military? I believe Strike one was rejected... some say it was mechanical issues and others say it was political... if they had been adopted they would have been made in Russia, but the rejection of the weapon means they are made in Italy now AFAIK. But for special forces there will always be the odd types, like that 12.7x55mm revolver they showed a while back, not to mention the suppressed models and underwater models. 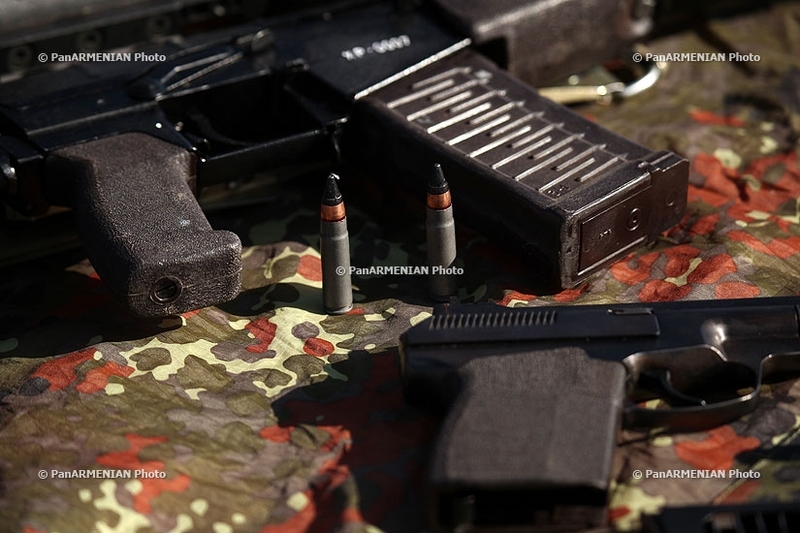 GarryB wrote: No information about those trials for a new pistol for the Russian military? yup, they are finished now - Udav passed state tests. 9x21mm with "armorpiercing" abilities Ydav - automatic translator uses word boa but IMHO better translation should be "constrictor" . Check with native for better translation tho. Kalash description wrote: The pistol from the attached image is closer to the final appearance. This is a classic pistol with a double-action trigger mechanism and an automatic slide latch. "Boa" provides the use of all available range of domestic 9 × 21 caliber cartridges, as well as advanced ammunition of increased power. ad what sense would it make to introduce full auto mode beside weapon complication? Zvezda TV wrote: State tests of the newest Russian pistol for the Ministry of Defense have been completed. This was reported in the press service of the Central Scientific Research Institute of Precision Engineering (TsNIITOCHMASH). The report said that the tests of the pistol complex were held at the test base of the enterprise, as well as at military test sites in the VZO and TsVO from August to December 2018. Currently, the results of tests of the pistol complex are under consideration by the state commission. Also, at TsNIITOCHMASH, they clarified that the newest pistol was subjected to climatic and mechanical factors during tests to verify compliance with the requirements of durability. In addition, the ballistic characteristics of the pistol were investigated. The tests confirmed the high performance characteristics of the pistol, its vitality and ability to function in extreme conditions. So, the gun worked steadily in a wide range of temperatures from +50 to -70 degrees Celsius. 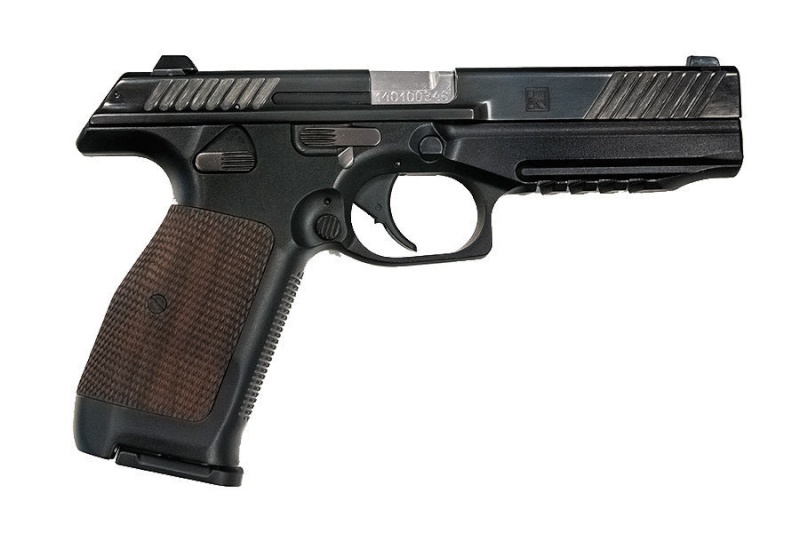 Pistol 9 * 21 mm "Boa" - the newest Russian pistol complex. "Boa" is developed to replace the Makarov pistol, adopted in service in 1951.